QwikCut – Go Ahead, Focus On Your Game. Go ahead, FOCUS ON YOUR GAME. Professional game film & analysis solutions, for a fraction of the price. With instant access for coaches, players, and fans, you can view your game any time, anywhere. We help teams do what they do best: play. Whether you need professional videography, a user-friendly platform for review & play analysis — or both — Qwickut can help. Book a complimentary call to learn more. I have been fortunate to have discovered Todd from QwikCut and my experience with their service has been nothing short of excellent. The quality of the videography and the technology they offer has provided us with the right tools to analyze our rugby game play. We are so excited to also see the new screen stats feature in their display giving coaches and viewers a thorough understanding of player performance. We strongly encourage any sports organization and coaches to use their services, they're affordable and efficient. Parents, grandparents and alumni can easily share their favorite athlete or plays on social media. Just give them access live or after the game is uploaded. Looking for that competitive edge? Meet our online platform, QwikCut Access. We can shoot your game in full HD. With over 150 camera operators across the state of Florida, we have you covered. No grandstands or elevated surfaces? No problem! 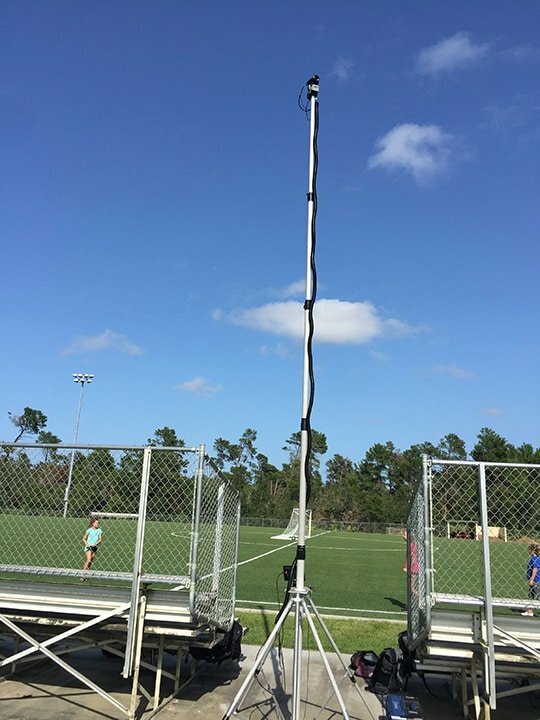 We bring our own 25-foot tripods to get you the angles you need for proper game film analysis. Our online platform is easy-to-use, but packed with features. With instant access for coaches, players, and fans, you can view your game film anywhere, anytime. With the league pool feature, you can see all of your opponents’ games (no need to exchange game film anymore!). View your games on your browser or via the mobile app. Qwikcut provides us with everything we need film-wise. We have been using them for 5 years and they cover every game no matter where we are in the state. Lacrosse is not an easy sport to shoot well, Qwikcut does an excellent job. Their turnaround on uploads is always prompt, with footage available online the next day. I would recommend Qwikcut to anyone in need of video services.